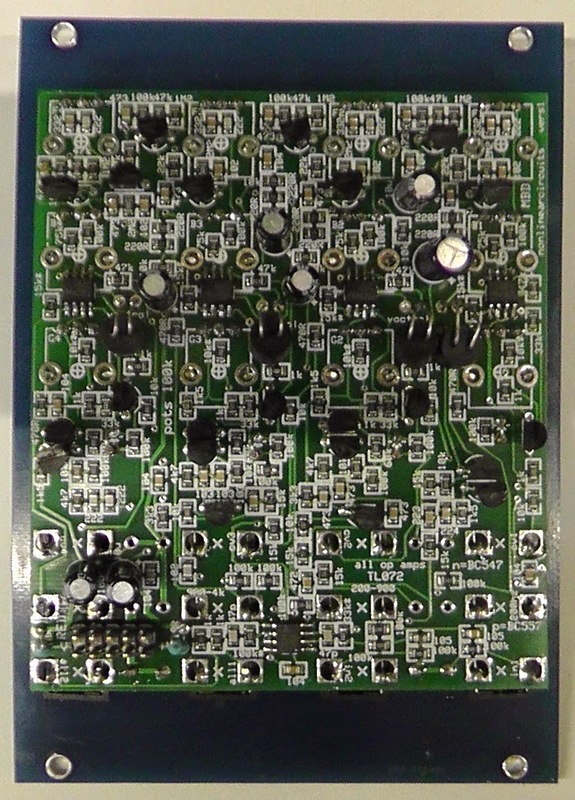 This is the 1st prototype of this module, though it only needs a few tweaks to get the gains of each channel more equal and some minor changes to the panel. 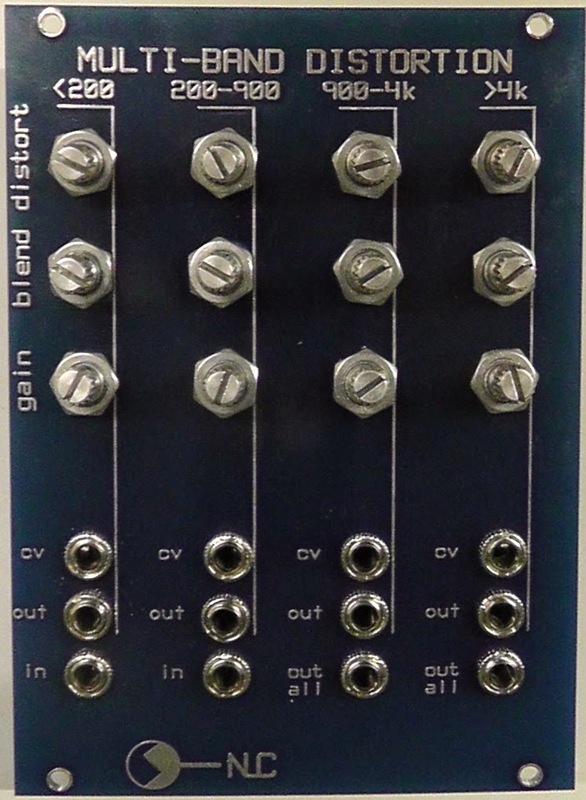 Basically it splits the input signals into 4 frequency bands, these go into fuzz circuits and vactrol based VCAs, then summed to the output or use the individual channel outputs. 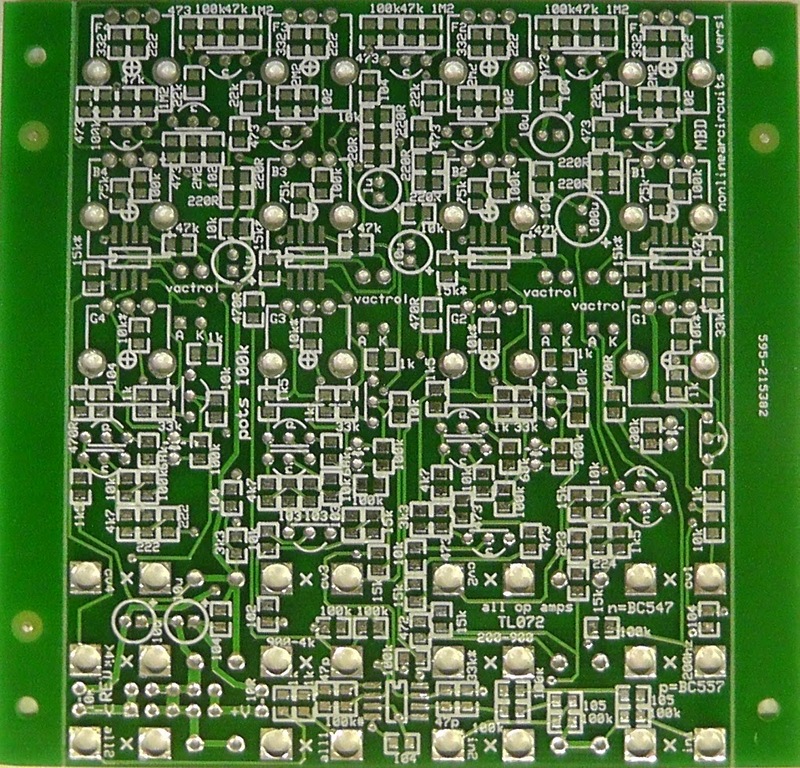 You can blend the clean/distorted signal and vary the fuzz characteristics. super great... i hope they go into production and minions like myself will have one in hand as some point! great stuff!!!!! looks interesting! any examples with drums?